Like it or not, Fall is upon us! 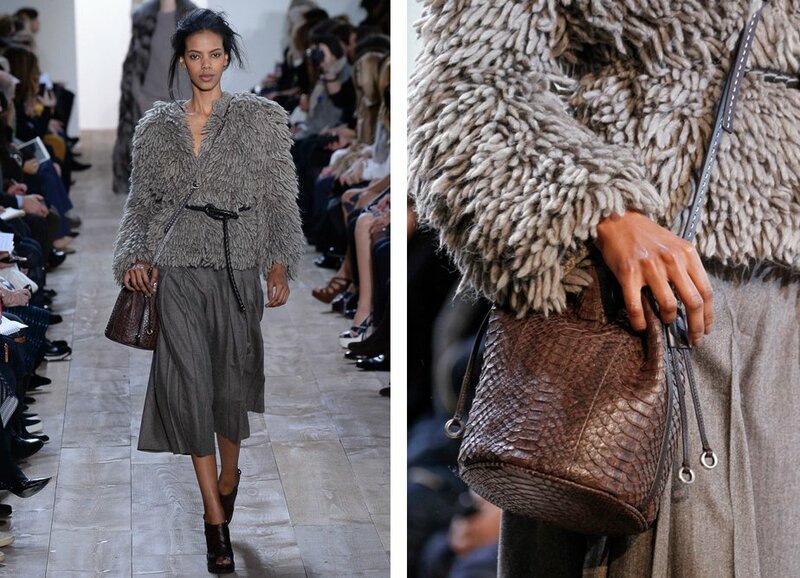 What are you wearing this Fall? 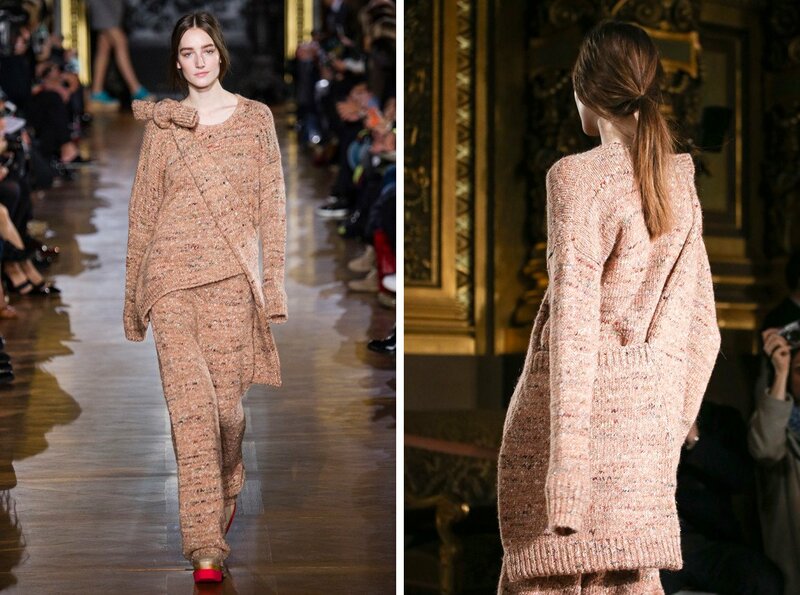 Whatever you’re wearing, let’s ogle some of Fall’s most interesting knits from the runway! Oh my! 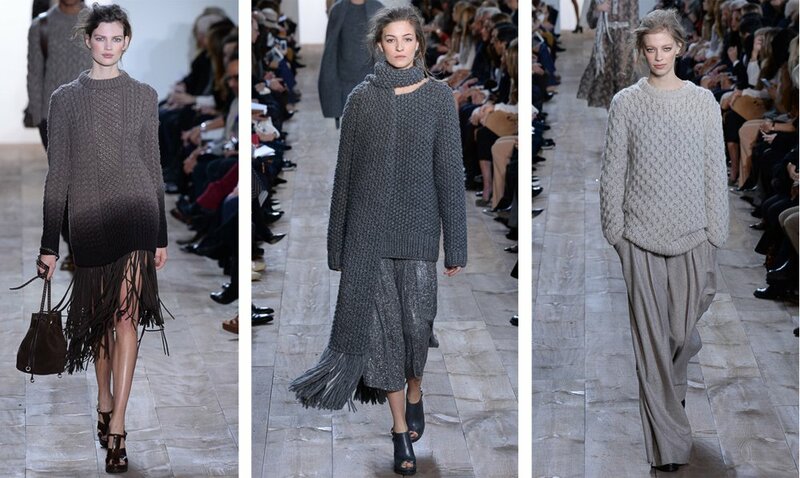 Greys, neutrals, oversized sweaters and scarfs, massive texture and some fringe action! I am so on board with this collection. 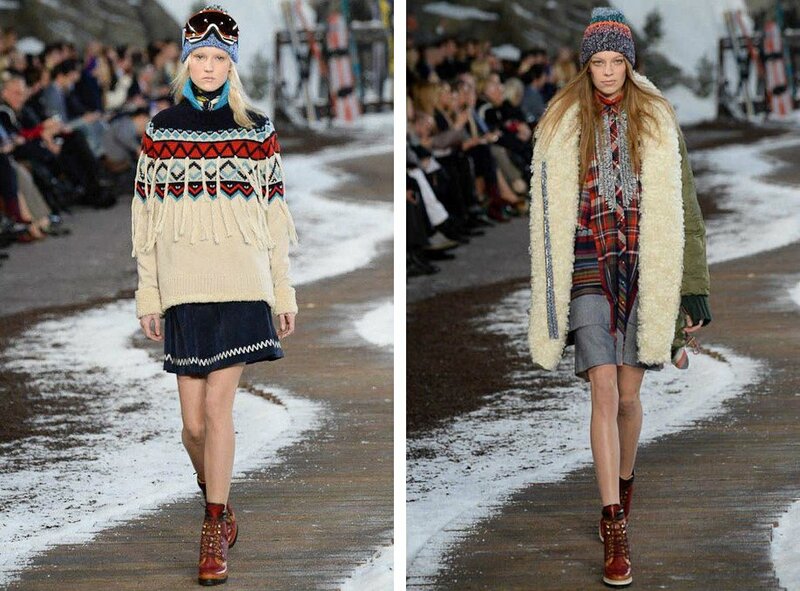 I love how the tousled hair and the 70s boho gauze dresses balance out the heavy winter-ness of the cabled sweaters. And texture! Can we talk about the intense texture going on? We’ve got cables, eyelets, chubby folded collars, what looks like brioche stitch, seed stitch and beautiful one-ply fringe, just hanging out, au naturel, on a cropped jacket. Love Sigh. What’s going on, Michael? You’re killing it this season! But one quibble: socks with sandals. Whaaat? 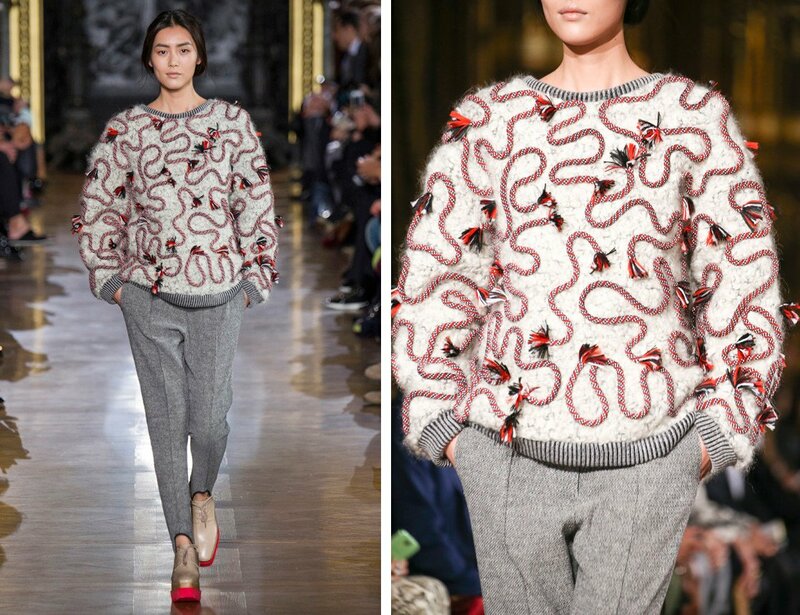 As much as I love the idea of head-to-toe knits, these oversized sweater/pant/skirt sets from Stella McCartney prove that proportions matter. As separates, these would be excellent, but worn together, the pieces blend into a big shapeless mass. The details of the bag, skirt and pant disappear into each other, which is a shame because as standalone pieces, they’d be knockouts. Can you imagine that peach knit pant worn with a fitted tank? So pretty! 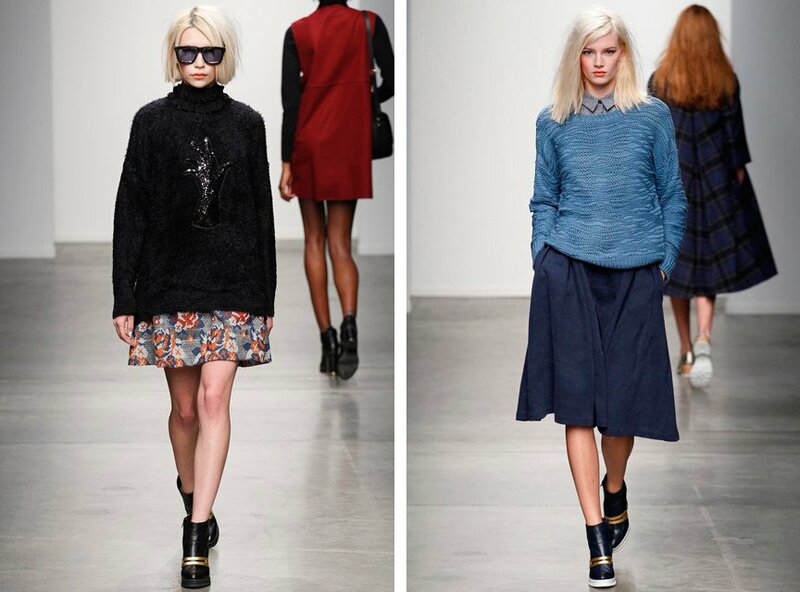 I’m crrrazy about Karen Walker’s Fall collection. 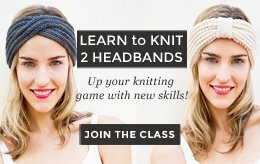 It’s both tough and feminine, artisic yet wearable. 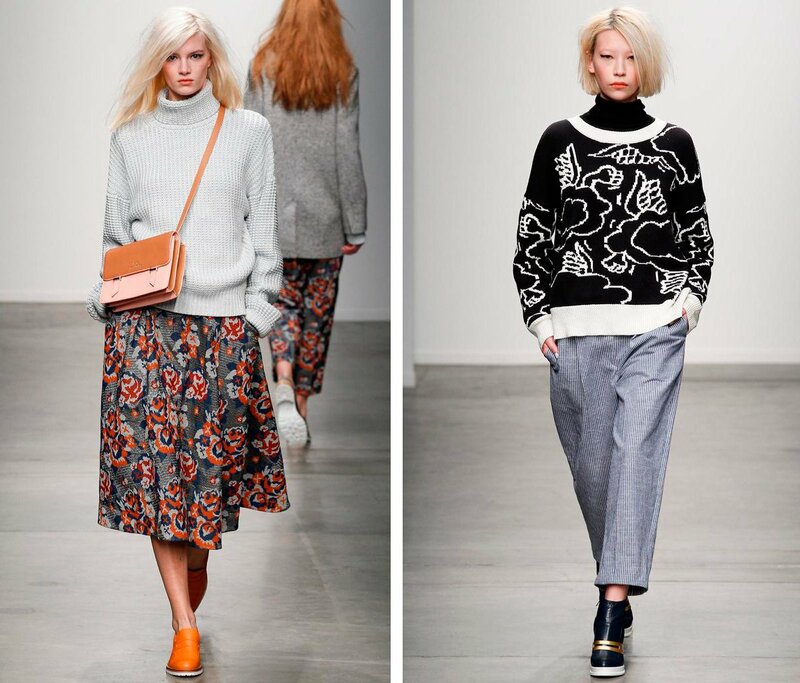 Observe florals paired with punky sweaters and graphic prints against a railroad striped pant – not to mention the total effortlessness of these slightly oversized silhouettes. A total win and a perfect Fall uniform! 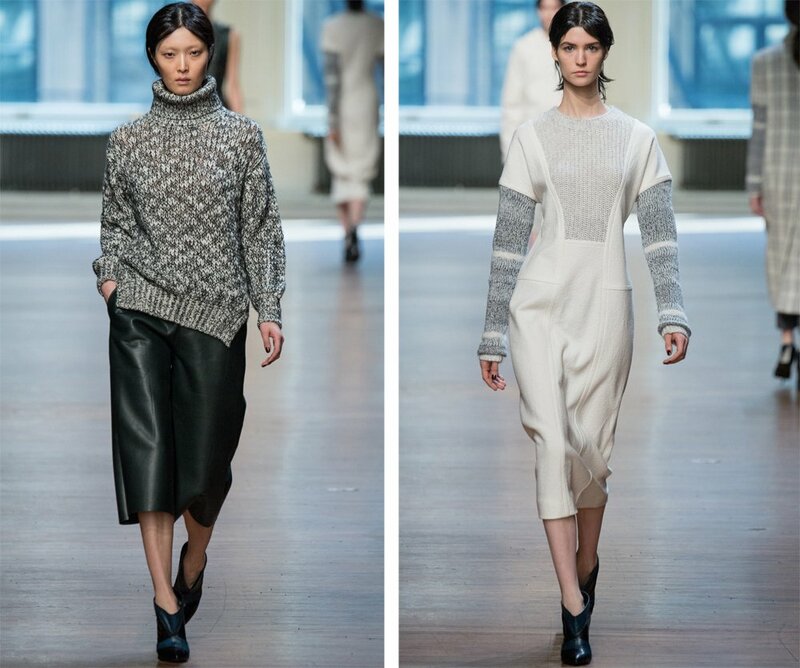 I love the mix of knitwear, leather and woven fabric in Yigal Azrouël’s collection. The palette is muted, but interesting details abound. 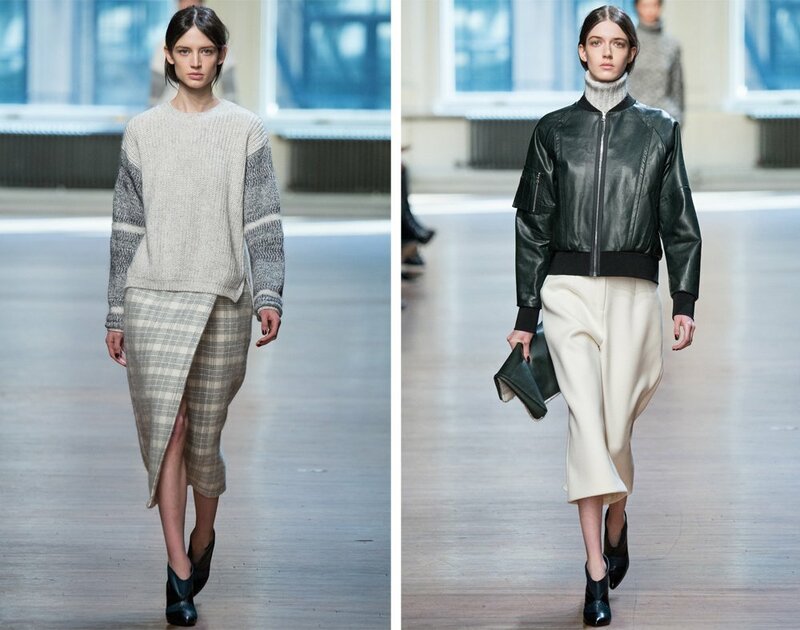 Who would’ve thought that pairing a turtleneck with a leather bomber could be so chic? Or that a jumpsuit (or is it a dress?) 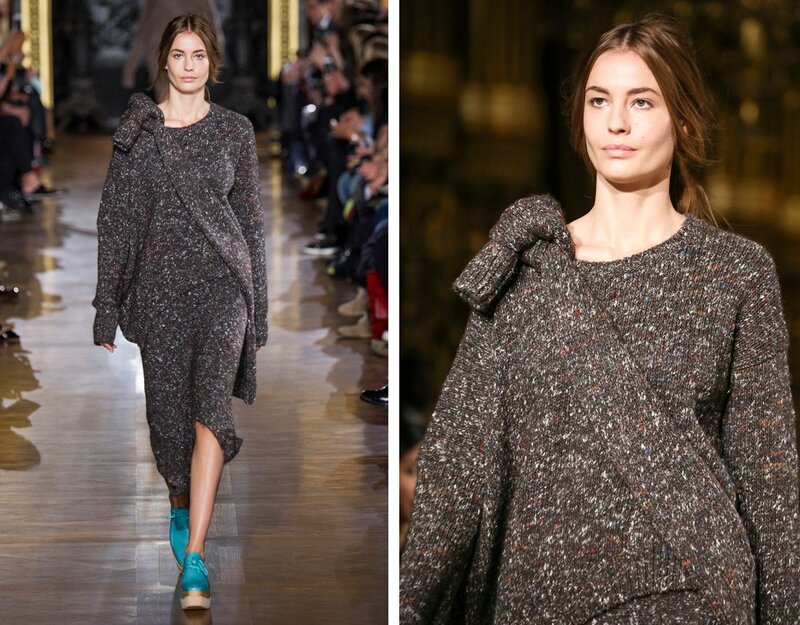 with knitted sleeves and a central knit panel could look so futuristic and comfy? This season, the king of American casual wear is all about clothes for the rugged outdoors. 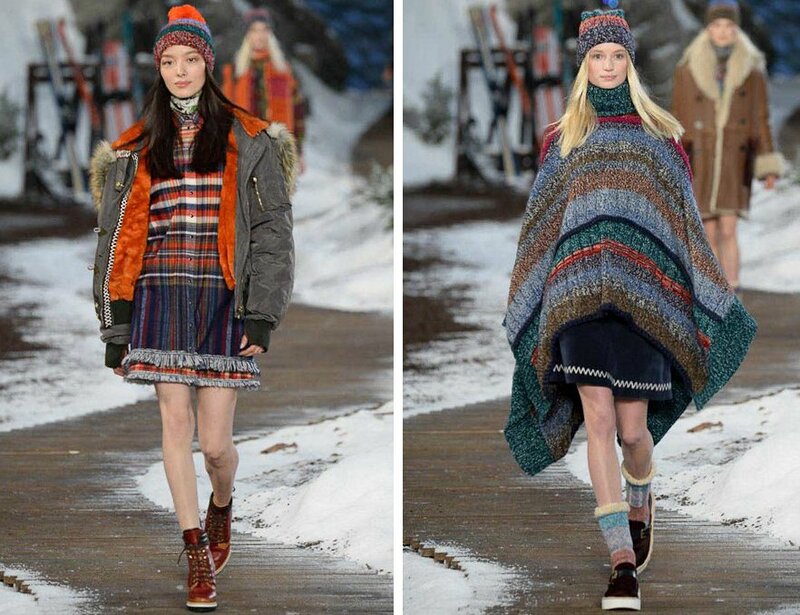 Big ponchos, pom-pommed hats and Nordic sweaters abound, not to mention knit socks with a fur trim. It makes me want to pick up mountaineering and head straight for the Alps! 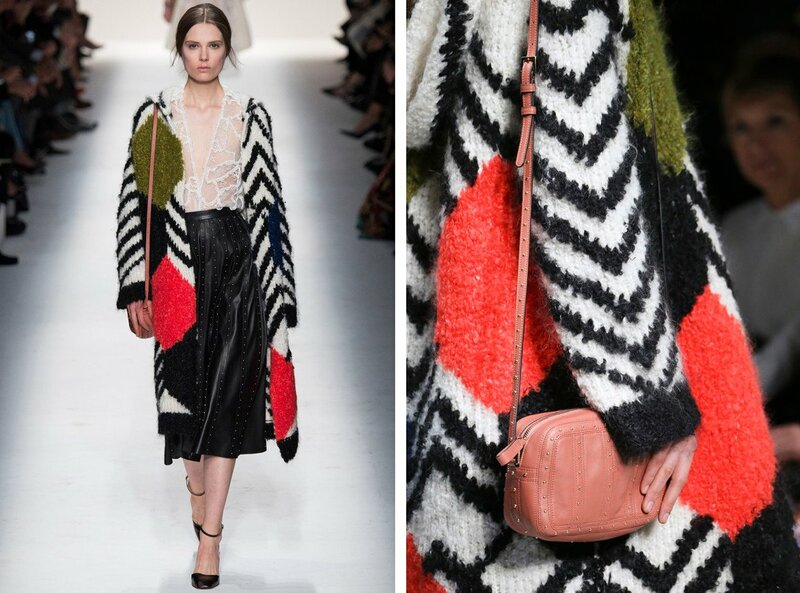 I’m super obsessed with Valentino’s bold colors and Pop Art graphics this season. As much as I love my neutrals, sometimes a big pop of color is like a breath of fresh air! This cardigan, for instance, is making my heart flutter. It looks like a tapestry or a modern painting. It’s just so fun to look at! 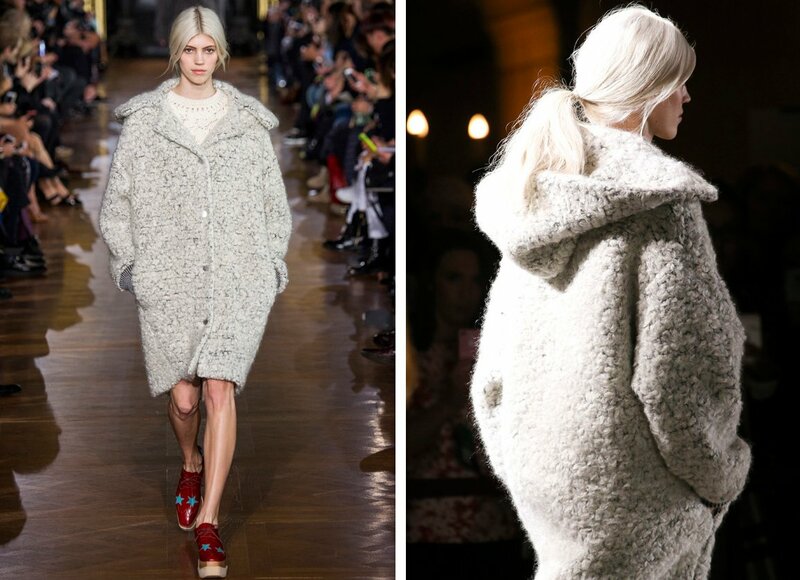 And as with so much other knitwear this season, it’s big and comfy, perfect for layering! 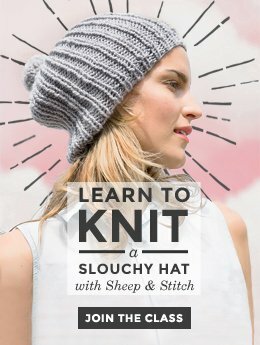 Is there something you love or loathe or something I missed altogether in my knitwear roundup? Let me know in the comments and we can squeal over it like schoolgirls! 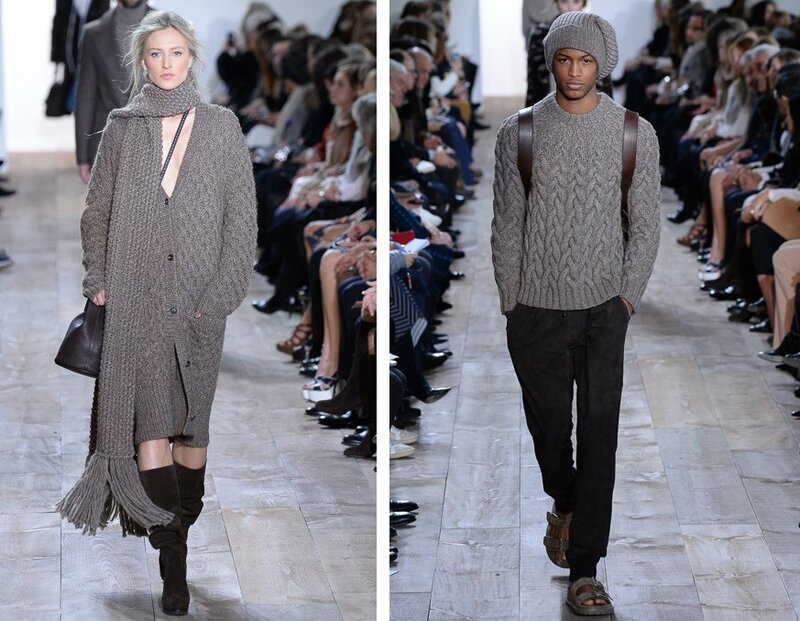 I love love the cabling on those michael kors sweaters! 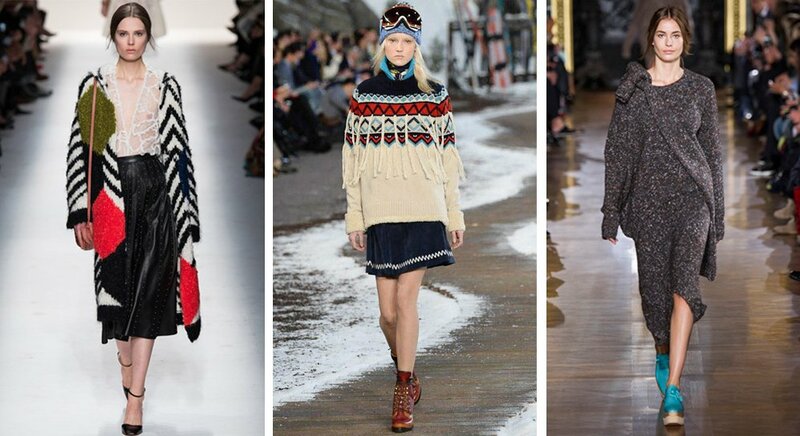 The Scandinavian sweaters by Tommy Hilfiger are really cute too, but they look hard to knit! Hey Sarah! 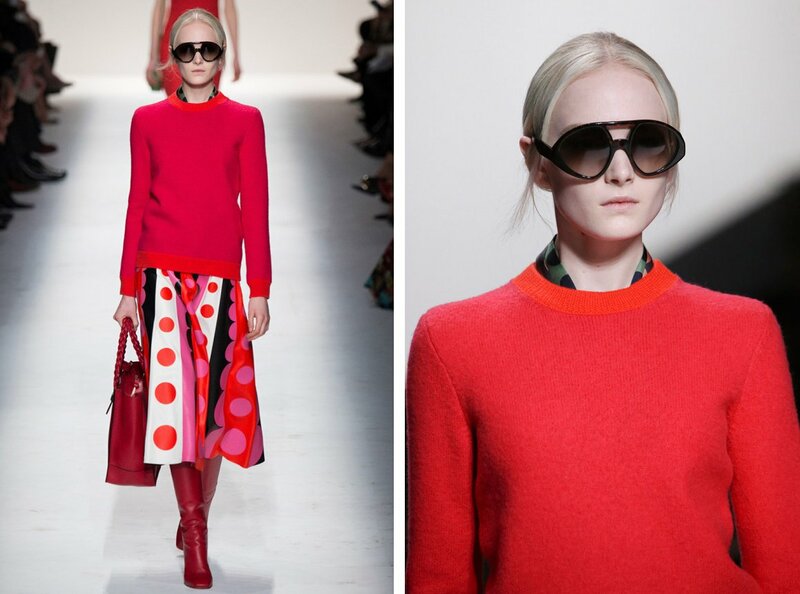 I loooove those Michael Kors sweaters too! 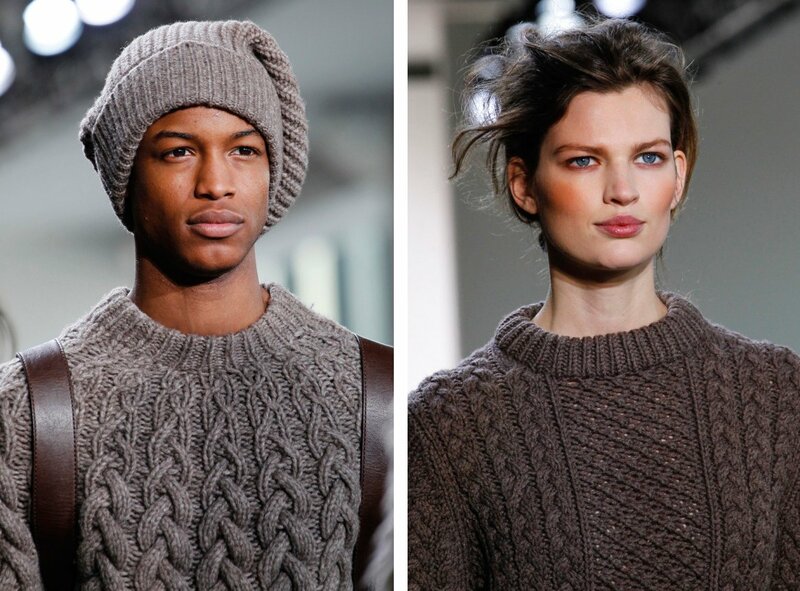 And totally with you on the Tommy H sweaters, although colorwork is not actually not *that* hard to knit. 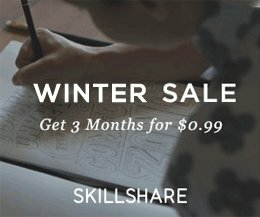 But I’ll save that for another tutorial! We’ve been wearing socks with sandals for YEARS in the Northwest! I’ve been wearing crazy/fun socks with Birkenstocks since the ’70s. My hubby and I get lots of compliments when we wear hand knit socks with them. I roll my baggy jeans pant legs to just barely above my ankles and proudly show off my amazing socks. I didn’t realize that the rest of the world didn’t do this until I was at a café in Santa Monica about 15 years ago. Lots of strangers commented about how cute I looked with my hand knit socks and Birkenstocks. Try it you guys! Hey Jackie! You know, I’m actually coming around to socks with sandals. 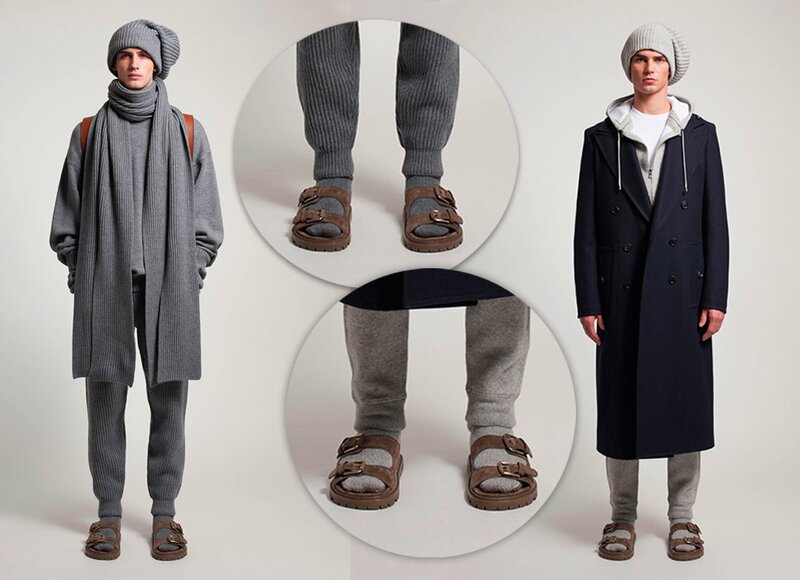 I associate it with hippies and my Ocean Sciences teacher from college, but apparently, they’re making quite a comeback, with the exact combination of socks rolled high with Birkenstocks! You’re seriously ahead of the trend!